Embark on an 8-day cruise on the M/S Splendid from Dubrovnik, a city known as the "Pearl of the Adriatic" and a UNESCO World Heritage Site. As you travel to beautiful islands and thousand-year-old cities, discover Croatia's rich history and heritage, explore medieval towns located on South Dalmatian Islands and on the mainland, and swim in the Adriatic Sea. Experience the Croatian way of life, its past blended with the present. Board the M/S Splendid in Gruž harbor in Dubrovnik at any time throughout the day. If you arrive in the morning you cannot enter your cabin before 1:00 p.m. but you can leave your luggage on board. The welcome meeting and dinner starts at 7:00 p.m. where you are introduced by your Cruise Director to the Captain, crew, and your future fellow passengers with whom you spend a week on board. Passengers arriving later at night are provided with a cold dinner. After breakfast cruise to Mljet National Park, passing by the magnificent shores of the Elaphiti Islands archipelago. Enjoy swim stops and lunch on board along the way. Upon arrival to Mljet National Park, have a free afternoon to explore (entrance fees are not included), walk around the Great and Small Lake, and explore the Islet of St. Mary with its Benedictine Monastery from the 12th century. Enjoy the evening at leisure. In the morning cruise to the Island of Hvar with a swim stop near the Island of Korčula. After lunch continue cruising towards the sunniest island of Croatia – the island of Hvar, with a second swim stop in a one of the many coves and bays along the way. 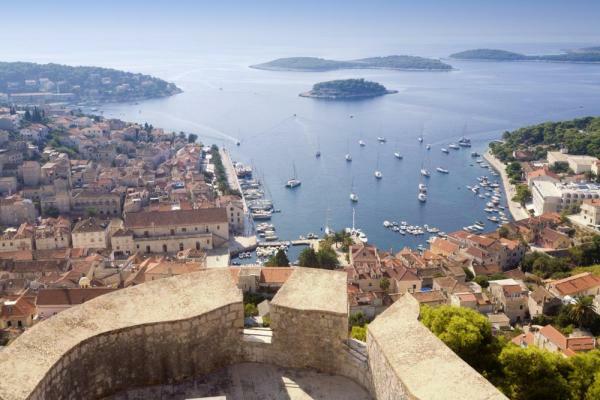 Hvar is one of the most popular and very attractive tourist destinations and a meeting point for the international jet set. Upon your evening arrival, a local English speaking guide walks you throughout the town, introducing you to the history, culture, and way of life on this island. Learn how lavender was traditionally farmed on the Island of Hvar for centuries. Have a free evening on your own to explore and dine in one of numerous family-owned restaurants. Start your day with a morning departure towards Bol, said to have the best beach for swimming in Croatia - Zlatni Rat (Golden Cape). Stop in Bol and enjoy this nice Dalmatian town on a walk, or have a cup of coffee and take a swim until lunch is served on board. Cruise to Split in the afternoon. Split is the second largest urban center in Croatia and the seat of Split and Dalmatia County. It is traditionally considered to be over 1,700 years old. Since 1979 the historic center has been inscribed on the UNESCO World Heritage Site List. The historical and cultural buildings are located inside the walls of the Diocletian’s Palace. In addition, its numerous museums, the National Theater, old churches, and other archaeological sites in the region make this city an important cultural attraction. Your English speaking guide leads a 35-40 minute Split City tour and walks you through the historical Diocletian’s Palace. After breakfast cruise across the Brač channel to Omiš, an ancient town with city walls, fortresses, and stone churches located at the delta of Cetina River (which has wonderful beaches). For centuries Omiš was a symbol of retaliation, courage, and strength of the famous pirates against the Venetian Republic. After a relaxed walk in Omiš have lunch prior to sailing towards Pučišća. Pučišća is the biggest village on the island of Brač and an entirely different experience. Nowhere in the system of towns and villages in Damatia does terrain play such a compelling role as in Pučišća, with its spectacularly irregular steep-sided natural harbor, authentic Mediterranean architecture, and rustic ambiance; the fjord-like inlet meets three narrow valleys that descend from the hills to join those quiet and beautiful waters. Pučišća Quarry was exploited in Antiquity; the reopening of the quarry took place in 1455, unused since Roman times. It was from this quarry that stone was excavated to build limestone columns in the White House in Washington DC, the Parliament house in Vienna, and many other famous buildings all over the world. 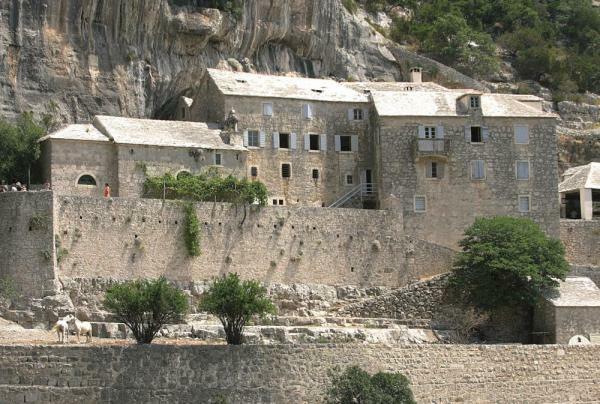 The only Stonemasonry school in Croatia is located in Pučišća, where students carve sculptures from Brač limestone with traditional and unconventional tools that have been used here for centuries. Spend the night in this very quiet small town. Nightfall unifies the diverse features of Pučišća that intrigued you by daylight. Start your day with a morning departure towards the last island on your cruise, the Island of Korčula. Stop for a swim before lunch and arrive in the afternoon at Korčula town, known as the birthplace of the famous explorer Marco Polo. Your English speaking guide provides a short city tour while walking you through narrow and cobbled streets. The rest of the evening is free to enjoy dining at one of the local restaurants of your choice. 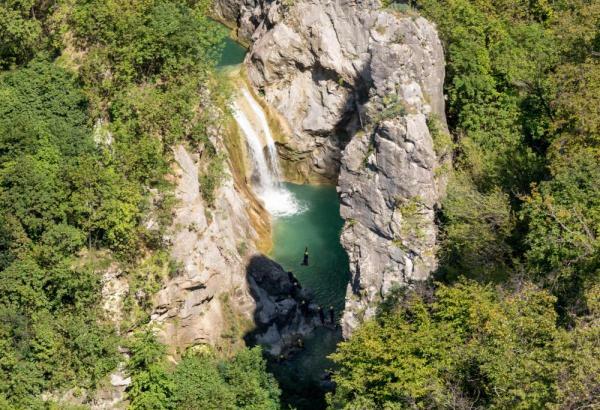 For those who would like to explore the hidden side of Dubrovnik's countryside, this excursion is sure to amaze you with its natural beauty. The tour takes you on country roads that pass through picturesque small villages. Enjoy a photo stop on a hill above Dubrovnik, a high panoramic point from where you can see the entire city as well as the all islands around. Visit medieval watermills and the River Ljuta with a presentation on flour production in an old, traditional way. Sample local liquor, figs, walnuts and homemade arancini - the candid sour and sweet orange peel sweets. Taste special Dalmatian smoked ham and local cheese, a few red & white wines, and local bread. Conclude the evening with a nice walk at the small seaside town of Cavtat, a town situated on the peninsula with its centuries-old harmonious architecture and rich history. Today this is one of the most attractive destinations on the Adriatic coast. 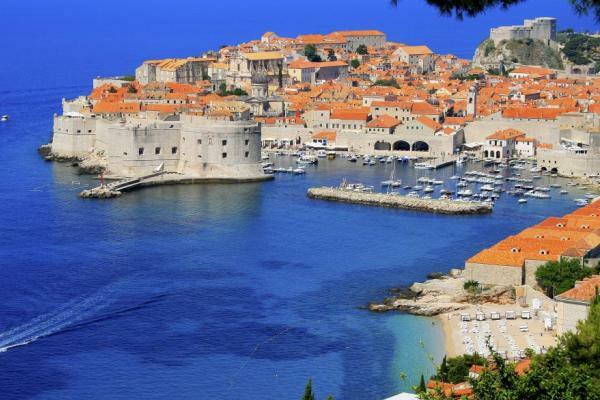 For those wishing to see more of Dubrovnik's city, an extra tour is offered. After an organized panoramic drive and photo stop at breathtaking scenery on a hill, visit the historical center of Dubrovnik. This famous city is a UNESCO World Heritage Site, and you can see why it is called the "Pearl of the Adriatic". After your guide shows you the most interesting sights, you are left on your own to explore the city. Say farewell to all your new friends and disembark after breakfast. The small cruise ship M/S Splendid was built for summer 2014 with 19 passenger cabins accommodating up to 42 guests. The M/S Splendid will satisfy your refined expectations for a comfortable cruise along the Adriatic Coast. Eight cabins with beds that can be transformed into double or twin. Entrance doors are from the inside of the ship. Non-opening portholes, dual ventilation system, modern private en suite facilities. Five cabins with beds that can be transformed into double or twin, with possibility to have third (bunk) bed on request. Modern private en suite facilities. Six cabins with beds that can be transformed into double or twin. Modern private en suite facilities. - A 50% single supplement is available upon request. - A 30% reduction is available for a 3rd adult sharing a cabin. - Child discount: A child (age 3-11 years) sharing a cabin with 2 adults receives a 50% price reduction. A 20% reduction is available for a child sharing a twin cabin with one adult. Please note: Rates are posted based off of the current exchange rates from euros (€). Please contact us for current rates. Dubrovnik countryside: €45,00 per person, minimum 10 persons. Fare includes guide, return transfer, flour presentation with welcome drink, Dalmatian smoked ham, cheese, bread and red & white wine tasting. Dubrovnik city tour: €30,00 per person, minimum 6 persons. Fare includes a guide and one-way drive to the panoramic point and historical center. 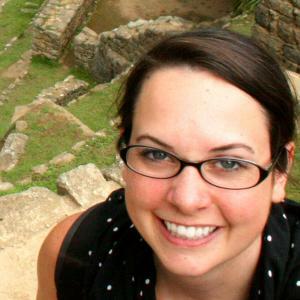 Initial deposit is $500, and most travelers will call our office and pay the deposit with a credit card. Alternatively, you can register online here. Final payment is due 70 days prior to departure by bank transfer, check or credit card.